Today, August 14, the Vigil of the Dormition & Assumption of The Blessed Lady, begins three days of rock-bottom discounts on registration for groups & families of three or more. Tomorrow, the Great Feast itself, is the second day of discounts. 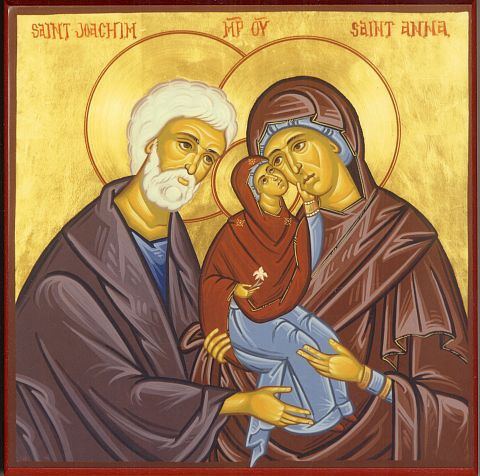 And then we honor Our Lady’s holy Father – St. Joachim – The Grandfather of Christ, on his feast Thursday, August 16th. You must register & submit the fee via PayPal on one of the days of the feast in order to receive the discount. Now is the acceptable time. Don’t risk losing the grace of pilgrimage. Thanks to the merits of the all-Pure Mother of God and her Chaste Father, Joachim, commemorated this week, you and your friends & family — fellow students, too — may register TODAY, TOMORROW, or THURSDAY at the discounted rate. But hurry. The ‘grace period’ ends Thursday night, August 16, at 23:59 PDT. And you must register with at least two other pilgrims — friends or family, or fellow students. Be sure to read this post carefully (and to the end) to learn how exactly to avail of the discount on this day of ‘grace’. To maximize your discount, register with more than two friends, family members or fellow students. See this page for intermittent ‘grace’ periods — days on which, thanks to your Blessed Mother in heaven, you, pilgrim-wayfarers in peril of shipwreck, can obtain, by a simple act of humble honor shown to her, the discounted rate for the registration fee after all. No one is turned away for want of a fee. Having difficulty affording it? See this page to help you find sponsorship. Pilgrims call it alms for palms“. Simply beg fellow Catholics to contribute to your material expenses, like transportation. And promise to take their intentions to the destination shrine. They can also contribute to your registration fee, from this page. Not yet sure you can make it, but don’t want to risk losing the discount? PRE-register today to get the discount — and a jump on preparations until you can make the final decision. To obtain the day’s discounted rate, you must pre-register with two or more pilgrims and submit the pre-fee of $25 ea. on the same day via PayPal.com. Then, before September 16, pay the balance of the discounted rate in-full (in one transaction via PayPal) for all those who pre-registered together on one of the discount days. Meanwhile, invite friends to join you in the spiritual exercise. Or, decide later to join from afar by prayer, obtain a plenary indulgence, pray for or sponsor or obtain the prayers of pilgrims. Can only make it on Sunday, the last day? Just click here to pre-register or here for Sunday only. But still wish to obtain similar graces, the benefits of prayers of fellow pilgrims, even a plenary indulgence? Click here to find out home to participate from afar, even from home. Jump-start your plans, even if you are not sure you can make it to Auriesville. PRE-register. It’s simple, easy & there are no strings attached: you are left free to decide later whether you can make it or not. St. Ignatius has a surprise for you on his feast, today – July 31.